For a description of these distortion mechanisms go here. *Pinch warps are sharp warps at one point at the periphery of the record due to removing the disc from the press when it is fractionally too hot. Where the disc is handled it is "pinched" and hardens with this warp as a permanent set. Distortion due to incorrect vertical tracking angle (VTA). But both these effects may be minimised by judicious choice of cartridge and alignment. Half-speed needle-drops also suffer from vertical distortion due to the pinch-effect but this may be almost entirely eliminated in signal-processing within Stereo Lab, as explained here. 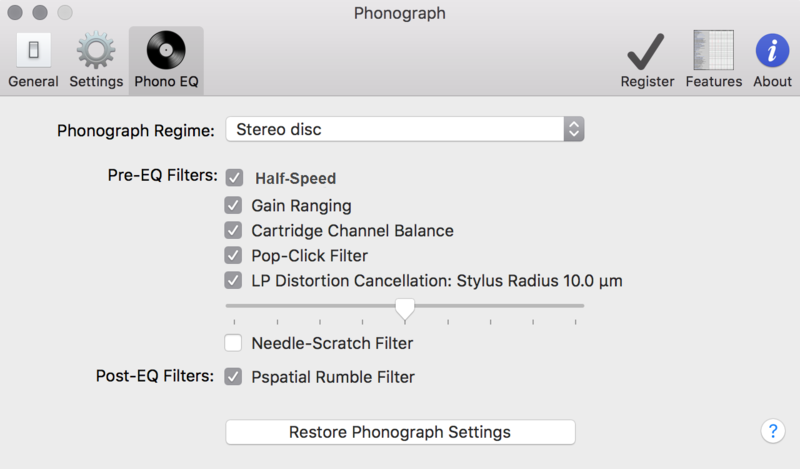 Thus, with the highly-accurate DSP distortion cancellation and recording-characteristic equalisation in Stereo Lab, half-speed needle-drops hold out the possibility of virtually distortionless transfer of music stored on vinyl records. 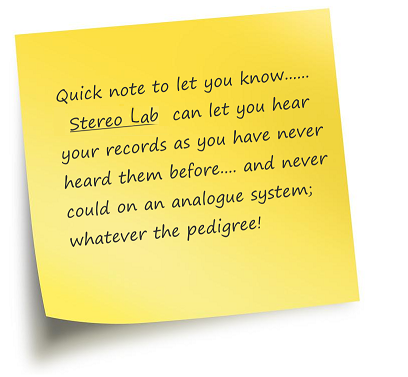 Couple this with Pspatial Audio's acclaimed "click-pop" processing and linear-phase rumble-filtering and it's easy to see that Stereo Lab can let you hear your records as you have never heard them before - and never could on an analogue system; whatever the pedigree! Half-speed processing is engaged by checking the box in the PHONOGRAPH page of the Preferences dialogues, as illustrated above. The half-rate processing will convert the single-rate file to a dual-rate (which it must as it's doubling the frequencies involved). 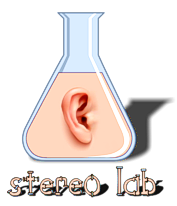 But Stereo Lab will do this with no pitch-change artefacts whatsoever: the file remains "bit for bit" identical. Subsequent processes will be applied to the up-converted file and the output file will be at dual-rate. Because modern cartridges respond to the velocity of the physical groove, the cartridge signal-output when playing a half-speed record will be half that when the record turns at normal speed. But, the electrical noise-level from the cartridge and pre-amplifier remain unaffected. There is thus a loss in absolute dynamic-range of 6dB using the half-speed approach to needle-drop recording. This loss is no issue provided the cartridge and preamp' have a noise margin comfortably below the noise-floor of the record. This will not always be the case with a MC cartridge with a less-than-perfect preamp' and is rarely ever the case with a MM type. We therefore recommend the new PHLUX active cartridge from Phædrus Audio for the best possible half-speed needle-drops. There is the further consideration with half-speed needle-drops that spurious low-frequency signals caused by motor or bearing noise or due to disc imperfections (perhaps exaggerated by a poorly chosen and controlled resonance of pick-up arm mass and cartridge compliance) will be frequency doubled along with the legitimate audio modulation. Holman1 studied these spurious low-frequency signals back in 1977 and concluded that the worst are in the 2 - 4 Hz region. Even when these are frequency doubled, Stereo Lab's linear-phase rumble-filter will eliminate these. The same may not conclusively be said for those spurious low-frequency signals due to motor, transformer or bearing noise: these are more usually at the top of the sub-sonic range. The only choice here is to select a decent turntable which doesn't suffer from rumble of this kind; frankly, most, decent modern players do not.